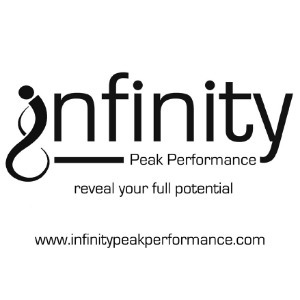 At infinity Peak Performance our focus with you is on maximising your potential while sustaining all other key aspects of life such as family, work and social life, a true balance so as to have your best performance come race day. Aim to reveal your full potential, identifying the non-negotiable aspects of life, the things that matter to you, then develop a bespoke custom training plan to incorporate training into your day to day life. I aim to provide a truly bespoke service to all of my athletes, delivering and analysing training plans on a daily basis that are truly unique to each individual, adjusting the plan as life gets in the way of training. I like to catch up with athletes on a regular basis to discuss progress and how best to prepare for their goal event while gaining an insight into what the day to day life looks like for each athlete outside of training so I can make better informed decisions when prescribing training. I believe in a cohesive coach/athlete relationship, catering for everybody's individual needs and preferences, as opposed to saying this is what we must do, I prefer athletes taking some ownership of there training and have input into the plan. The key for success in my eyes between the athlete and coach is strong communication as the data only paints half the picture, feedback in each session is crucial to help maximise the potential of each athlete in order to make better decisions when prescribing training, depending on fatigue levels, But also crucially work and life stress. I believe that all aspects in life need to work in harmony together to help keep consistency within training and lead you into your race in the best possible physical and mental condition you can be to maximise your potential on the big day. GPS Device for recording/uploading workouts to Trainingpeaks. Powermeter (Preference but not essential), Open Minded. Success. Coach infinity Peak Performance has been notified of your message.